Outcast Sporting Gear- They can swim, but they can't hide. No matter what type of fishing you do, whether it be in remote lakes, wild streams or local ponds, Outcast has the right boat to get you there. With such a wide range of float tubes and pontoon boat models, it is best to evaluate the type of angling you will be doing most before deciding on a craft. Smaller ponds and lakes? Fish Cat 4 Deluxe-LCS, Trinity, Super Fat Cat-LCS and the Prowler are the best options. 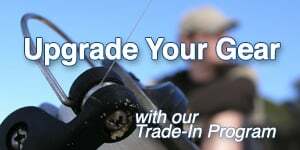 Fish Cat Streamer XL-IR, Fish Cat 9-IR, Fish Cat Cougar, Fish Cat Panther, Discovery 8-IR, Discovery 9-IR and the PAC Series are all useful for larger water applications.